Lake Lanier is one of north Georgia's most prominent tourist attractions and over the years, its surrounding communities have become some of the most popular places to relocate to in the state. As a result, Southland's home builder in Lake Lanier is always hard at work bringing the dreams of our clients to life. But, while the lake itself may be what draws people to the area, it is the local cuisine that also has a hand in turning visitors into residents. Here we take a look at some of the best places to eat in the Lake Lanier region. With its seven big screen HD televisions, Skogies is an exciting place to see the big game while enjoying an equally big and juicy burger or seafood sandwich. But, despite all of the sports action going on, the restaurant enjoys a comfortable laid back atmosphere with a stunning lakeside view. It even serves breakfast and brunch on Saturdays and Sundays. Skogies on Lake Lanier is located in the Gainesville Marina. Fish Tales is one of the premier seafood restaurants in the Lake Lanier region. The restaurant is located in the Hideaway Bay Marina in Flowery Branch, Georgia where it offers guests a full seasonal menu along with a good selection of daily specials. Keep in mind, however, that in the winter months the restaurant is only open for lunch and dinner Thursday through Sunday. And, with the restaurant's regular promotions, you can save on the cost of your meal! The Lake Lanier Island Resorts is a scenic 1500-acre resort located right on Lake Lanier. Along with luxurious accommodations, golf, and a host of enjoyable activities, the resort also provides guests with a full complement of dining experiences to choose from. The Windows Restaurant is well-known in the area, particularly for its excellent Sunday brunch. Gianni's Italian Restaurant serves up some of the area's best Italian food, although it is only open during the summer season. Or, if you want a great burger or some other nautical-inspired dish, be sure you give the Sunset Cove Beach Café or the casual Bullfrogs Bar & Grille a visit. Pelican Pete's is the only restaurant on Lake Lanier where you can park your boat, which is a wonderful benefit when you're having a fun day out on the lake. The restaurant is located in the Port Royale Marina, so all you have to do is dock your boat at the restaurant's dock and walk into the restaurant for an enjoyable meal. 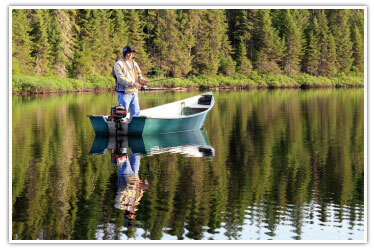 After you're done dining, you can return to your boat and get back out on the water. Pelican Pete's menu is varied enough to satisfy just about everyone. It has everything from burgers to tacos, to salads to pizza and more! Lake Lanier is a fun place to call home because there is so much to see and do in the area, much of it centered around the iconic lake itself. From the excellent restaurants to the world class resorts to the simpe beauty of the natural surroundings, Lake Lanier offers an excellent quality of life. But, that quality of life is even better when you live in a home that was custom-built for your family. And, that's where Southland's house builder in Lake Lanier comes in. With over 100 floorplans to choose from and an array of top-of-the-line interior appointments, Southland Custom Homes is among the top-rated custom home builders in Hall County. In addition to providing a huge selection of plan options, Southland Custom Homes will work with new homebuyers to alter specific floorplans so that the finished project is exactly what the buyer wants. If you are looking for a custom home builder in Lake Lanier GA, then Southland Custom Homes is sure to meet and exceed all of your expectations.